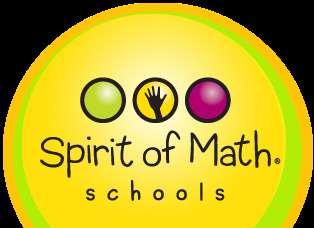 My name is Killian Dortch and I am a campus director at Spirit of Math; an after-school school for high performing students. Our students are the type who are voraciously working through their math work faster than parents can keep up or students who are breezing through the material without being challenged. Once the students are pass an interview process, they will choose an available class day and meet for 90 minutes once a week on that day to work in a teacher-led classroom environment and complete calculation drills, advanced problem solving, number theory, and cooperative group work. I mention these four strands of our curriculum because they apply to all grades 1st – 8th that we offer and because they highlight exactly why our program is successful. The drills promote fluency of number facts by repetition. We present the drills in a way that they are not intimidating or boring. Number theory allows the students to understand why numbers, formulas, or patterns behave the way they do. This insight is invaluable and generally not even approached until sophomore level college courses. Our problem solving questions are designed to really make students stop, read the question fully, and really think about what the question is asking before they can answer the question. Examples of questions can be seen in the Are you Smarter… attachment. Last, our classes focus on cooperative group work. This allows students to become more comfortable talking with their peers in an academic environment. The reason I am sending this to you today is mainly to spread awareness that we have come to Vestavia Hills but also because I would like to work with the homeschool community. Beyond offering a class, we also sell supplemental curriculum material and are working to offer some free classes for any students to help introduce problem solving techniques and garner interest in mathematics in general. I believe that there are many different ways we can both benefit from working together. I would like to set up a time to talk over the phone or meet with the Birmingham or Shelby county representatives so we can discuss exactly what we can do to work together. My office number is 205-460-3907, please feel free to call any time. I look forward to hearing from you soon. and release the genius in every child.